I'm as confused as a boy with a map can be. I see on the local news that this is the Chinese New Year. The Year of the Rooster. Where is the protest to this sexist, demeaning behavior? Should this not truly be the “Year of the Chicken” in order to be inclusive? Where are you Oh Cupcake Generation? Have you no soul? Have you no courage? 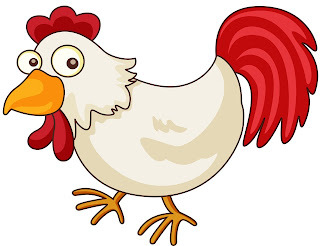 It's as plain as the nose on your face that this should be the “Year of the Poultry” in order to not be specisist. Fair is fair and this is offensive, you see. I've done my part by pointing this out. The Cupcakes must now riot. Lifeguard. No, not Lifebouy…..That's bath soap. It's been cold, snowy, foggy, and rainy here in The Land Of Perpetual Rainfall. Then there's that thing where I work. I work as a part-time security guy at the local community college. Part-time because if I work over 75 hours in any given month the state of Washington requires that the IHL (Institution of Higher Learnin') supply me with benefits—remember benefits? I do. Medical, dental, sick leave, snow days (yes, the full-timers at the IHL get “snow” days). It's just too dangerous for the full-timers to get to work on snowy days, but the security department must still be staffed, so, well, you get the picture….I feel no need to spell it out any further.